« Lose your edge. Please. Sounds to paint by . 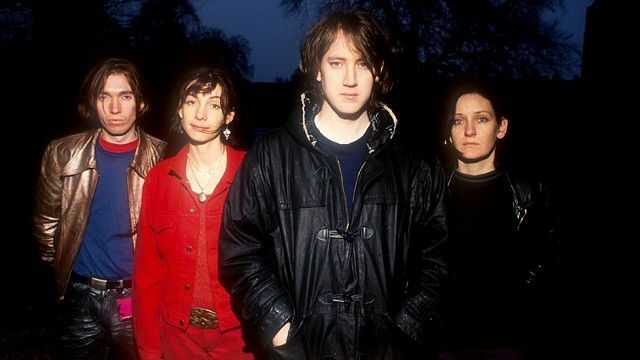 . .
My Bloody Valentine, after two decades, finally released another album. I’m thinking, what’s the rush? I still haven’t exhausted Loveless, from 1991. There’s no point in repeating the legends about this album and how it was recorded over two years. It seems tailor-made for elitist hipsters, since it makes every effort to take the edge off the music’s beauty. It has to be one of the most manicured recordings in history engineered to sound as close as you can get to the effect you get when you’re hearing three radio stations at once near some Bermuda Triangle of the dial. For me, this is Ireland’s lyrical, melodious answer to Sonic Youth’s raw power, but more ethereal and yearning and, well, innocently hopeful. The trick is to zero in on the harmonies and melodies behind the disguise of distortion. It seems you’re hearing most of it, muffled and remote, from six or seven floors above your garden apartment. So you end up playing these tracks over and over, trying to clearly discern these songs you’ll never being able to quite pin down because . . . well, let’s try again . . . because they’re being played about a mile away, and they’ve been carried to you by the shifting wind. If only you could be right there where it’s happening, hearing it the way it really is! From only a quarter mile away, say. And that’s what keeps you coming back. Like so much of life, it’s almost there, right in front of you . . . and yet . . . and yet . . . . Turn Loveless way down, lower than you play anything else in your collection. It still sounds incredibly loud, just farther away, at a lower volume. Listen with earbuds and the difference is even more distinct. What’s noise equalizes with the actual music and you still can’t understand a single word of the lyrics but the fuzz begins to sound like the innate sound of an electric guitar and the track relaxes and everything falls into place and an actual song, arranged with haunting complexity, floats up out of the auditory bed of white noise. And yet . . . the perfect experience of hearing it is still just slightly out of reach . . .